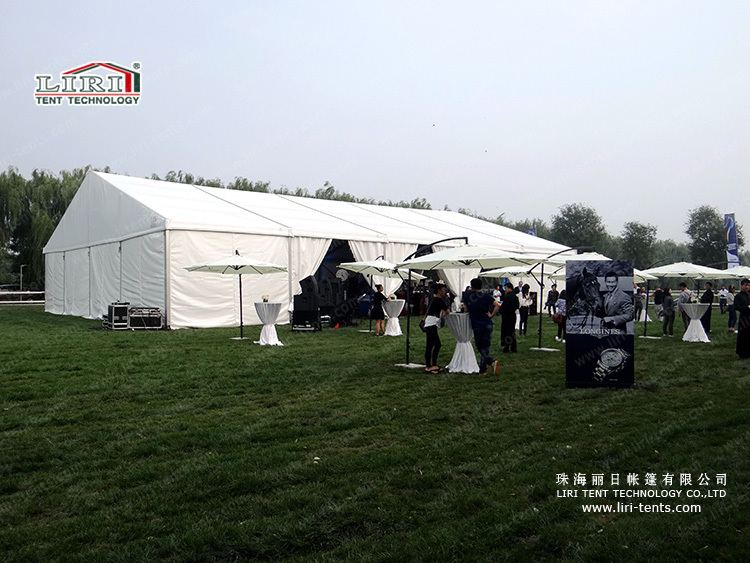 Liri tent with its varied and flexible features can create a special and fashionable atmosphere for all kinds of business exhibitions, product launches and promotions, and advertising campaigms. You will enjoy your activities along with our excellent and guaranteed service which is always professional, quick, accurate, reliable, exclusive, and thoughtful. 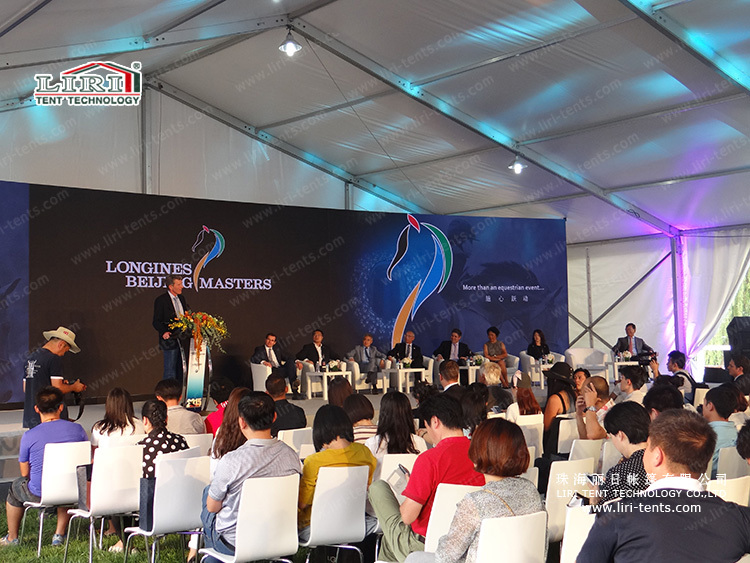 Liri Tent has size from 3m-70m, the size below is a very popular size of our BT series 20x25m, the main from file is 204x120x4mm( 4 channels). It can cover about 500 people. For this series of tent, it can also fix with glass walls, ABS walls, glass door, rain gutter, roof lining, inside curtain and more accessories. It is a very good choice for events, partys, wedding, press conference or so on. It has very long life span which is more than 20-25 years.